Crocheted Elephant Stuffed Animal with Optional "Do You Want to be My Friend?" 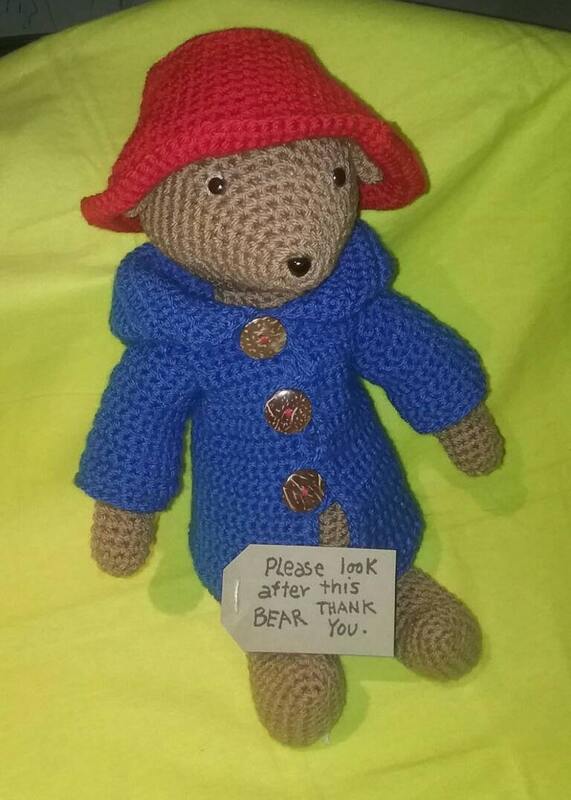 This cute crocheted Paddington Bear is handmade out of a variety of yarns, made to order just for you. He measures about 2 feet from head to feet. 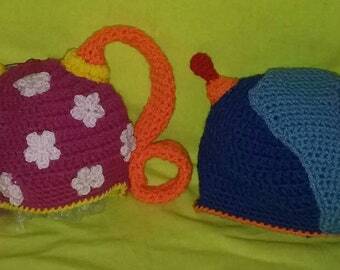 He can be customized using any colors that you would like and created from acrylic or cotton yarn. You can also order a gift set that includes a board book copy of "Paddington" by Michael Bond. My products are all crafted in a smoke free environment. Thank you to Janet McMahon for a great pattern! Thank you for visiting and feel free to contact me with any questions and special requests! Becca was willing to make this lab coat for a little dog (instead of a baby), and she did a fantastic job! She was very responsive and transparent through the whole process, and it fits my pup beautifully! Thank you, Becca!! This item was perfect. High quality and exactly what I was hoping for. Quick shipping and a pleasure to do business with. Thank you very much. Hat came quickly and as described. The quality is great too. Can’t wait for my son to wear it on Halloween!